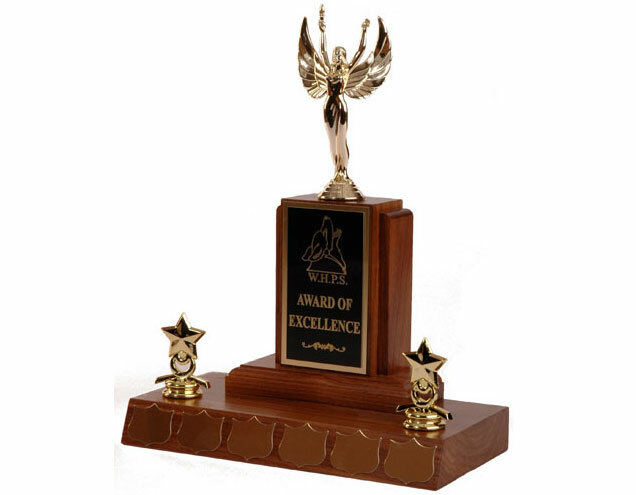 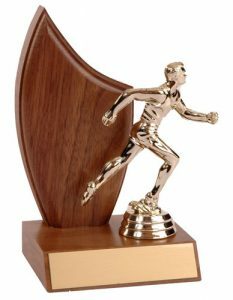 Baldwin Sales features walnut finish trophies and, while, other finishes are available upon request, walnut provides a high quality finish that celebrates achievements for such events as business functions, association awards, sports accomplishments and academic achievements, to name only a few. 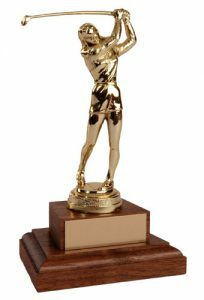 We also offer sleek figurines in gold or silver in a variety of action poses. 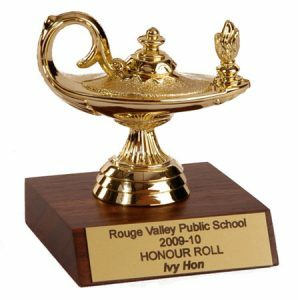 Prices include engraving.